Round Table Racing celebrated its first winner with Mr Boomsday at Canterbury on Wednesday and the victory was also a fillip for Goldin Farms. Another industry newcomer, Goldin Farms owns Cashcade – the dam of Mr Boomsday – and she will be among the first book for Akeed Mofeed (GB) who will arrive in Australia in July. Akeed Mofeed (5h Dubawi – Wonder Why by Tiger Hill) was a dual Group 1 winner of the 2013 Hong Kong Derby and Hong Kong Cup. He will be foundation sire at Goldin Farms which stands on the same grounds as Lindsay Park Stud in South Australia. Trainer Richard Gibson was setting Akeed Mofeed for the G1 Arlington Million in August, however, an injured tendon curtailed his career after just 17 starts. 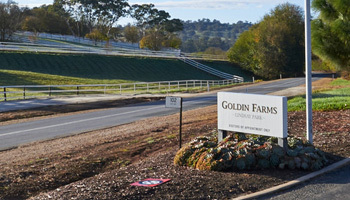 Goldin Farms is owned by Hong Kong-based Pan Sutong who has over 12,000 employees worldwide structured around consumer electronics, real estate development and financial services. 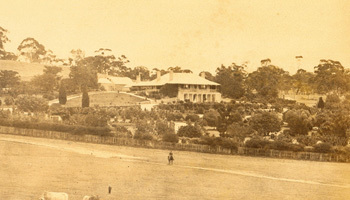 Perryman joined Goldin Farm in January after a stint as manager of Darley Woodlands in NSW. Apart from restoring Lindsay Park back to a world-class facility, he sourced mares for Akeed Mofeed from the Inglis Australian Broodmare Sale and Magic Millions National Sale. Goldin has 40 mares if its own already lined up for Akeed Mofeed including Cashcade. Before Mr Boomsday, she foaled Group 1 Captain Cook Stakes winner Ekstreme (Ekraar).